Argentina or Bolivia: which country is more expensive? 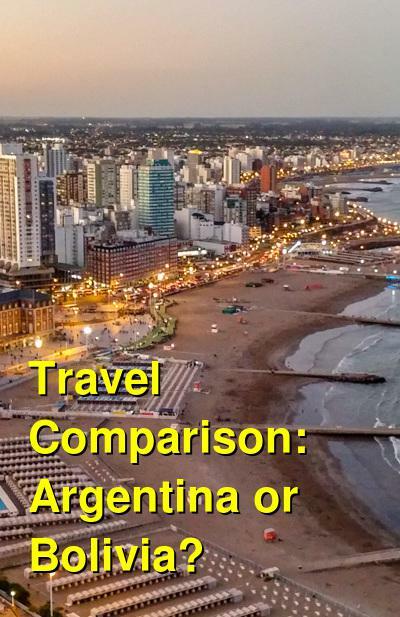 This comparison of travel costs between Bolivia and Argentina examines average prices across multiple categories. Please visit each country's individual budget page for more detailed information. Should you visit Argentina or Bolivia? The top three destinations in Argentina are even more diverse as they include the romantic capital of Buenos Aires, the majestic Iguazu Falls on the border with Brazil and Los Glaciares National Park in Patagonia for the colossal Perito Moreno. In terms of spectacular scenery, Argentina perhaps has the edge here, being home to the Iguazu Falls, one of the world's most spectacular waterfalls and the Perito Moreno, one of the nation's top tourist attractions and a truly humbling sight. Argentina is perhaps a better destination for wildlife lovers, being home to one of the most celebrated spots. The Peninsula Valdes on coastal Patagonia provides habitats for a great variety of amazing creatures; a truly magical sight. Whales, elephant seals, sea lions and let's not forget the Punta Tombo Reserve, where the world's biggest colony of penguins resides. When is the best time to visit Argentina and Bolivia? If you are planning to hike through Patagonia and visit the natural wonders, then prioritize mid-seasons. Either go around September to November or from March to May. Both are low seasons, but the spring landscape, September to November, is the nicest of the two. If you do not handle the cold very well, avoid going to Patagonia before mid-October and after April. On the other hand if you love the snow, winter landscapes, skiing and travelling during low season with few tourists and lower prices, you should definitely visit Patagonia during end of autumn or beginning of spring. While you will get all the advantages of travelling during low season, you will also be able to enjoy a sunny weather, still quite cold but manageable. While a few activities (hikes, excursions) will begin to close (end of autumn) or still be closed (towards spring), you will definitely be able to do most of the essential activities and to fully enjoy some of them as you might find that you have a hiking path all to yourself! The differences in prices between low and high season are not tremendous but you will probably be able to save some money on deals with accommodation and a few other fees. Why is Argentina more expensive than Bolivia? Bolivia is the ultimate cheap destination of South America. Although the country's recent economic progress has seen some prices and the standard of living rise, there are still bargains to be found in food and accommodation. 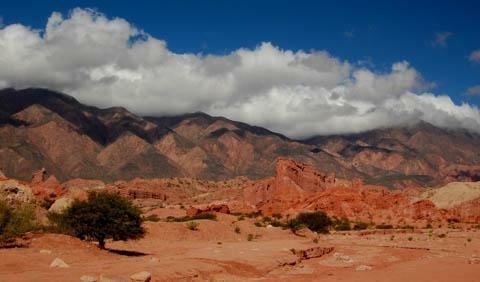 Bolivia tends to offer the lowest prices for accommodation and the cheapest options for food and drink as well. There are certain tourist activities that you will need to take into account. For example, a popular activity is to ride a mountain bike down the so-called 'Death Road' near La Paz, which costs around USD$100 depending on the company and the quality of the bikes. A 3 day tour of the Salt Flats of Uyuni roughly costs $120, which is a steal for the incredible experience you will get. 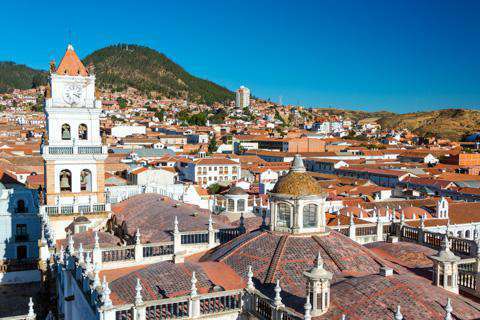 What are the most expensive and cheapest cities and regions in Argentina and Bolivia? How you can save money when visiting Argentina and Bolivia?